The Craft in America Center and The Museum of the American Cocktail partnered to present "Crafting the Cocktail," an exhibition of high-quality, handmade barware that highlighted the unique designs inspired by the ways in which we enjoy distilled spirits. The exhibit was hosted by the Craft in America Center (8415 West Third Street, Los Angeles, CA) and ran December 6, 2014 - February 21, 2015. For more photos of the opening and exhibit, please visit our Facebook page. All photos courtesy of Nino Andonis. Each new wave of alcoholic beverages has arrived in tandem with art movements: ornate Victorian serving pieces are as much a testament to their era as mid-century modern, minimalist, and fanciful tiki items. Now a new era of mixology, introduced by the craft cocktail revolution of the last quarter century, has inspired a wave of sophisticated, elegant, and thoughtful objects created in the service of fine drinking. Cocktails are inherently craft-centered: making a fine beverage requires an arsenal of tools, materials, and know-how. The process is as fundamental as the product. From the muddler to the strainer, the jigger to the shaker, the tools of the bartender's trade are many and highly specialized. 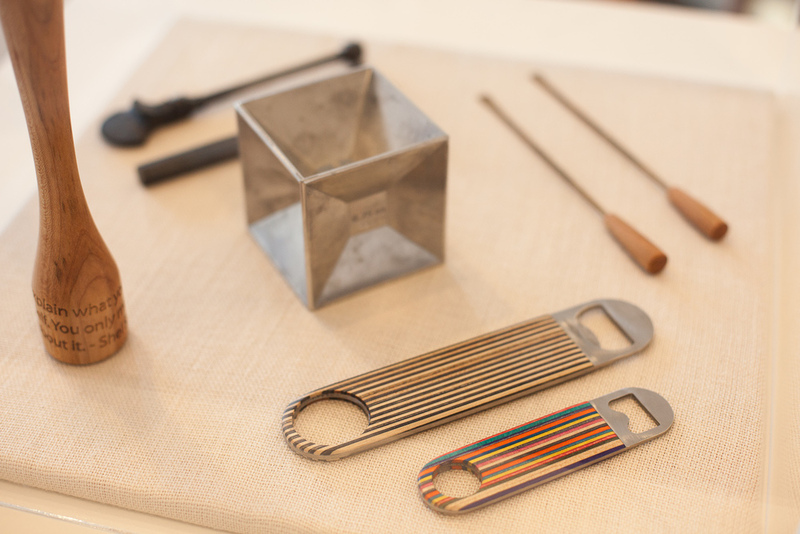 This exhibition will encompass the myriad items in the bartender's toolkit, ranging from the miniscule to the sizeable. Barware, of course, exists not only for the maker but the drinker as well. Sipping from a whimsical champagne coupe can heighten one's sensation tenfold; so, too, can sitting at a sensuous barstool. Craftsmanship is inextricably linked to the quality of experience. 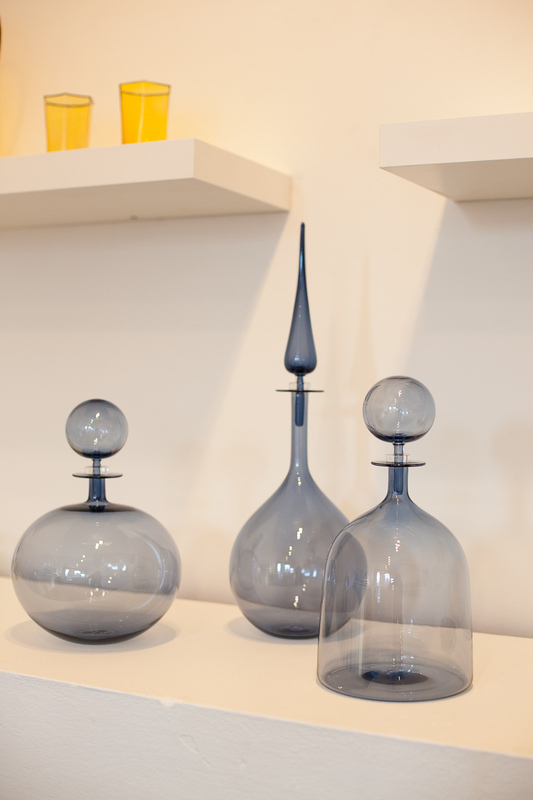 Used for serving, storage, and display, drinkware is a mainstay of craft history. The variety of forms marks our wide range of occasions: be it a nightcap or a champagne toast, the vessels from which we choose to drink have an impact, enhancing the experience, and even the ritual, of imbibing. Visit www.craftinamerica.org/exhibits/future-exhibit-test-2/ for more information. The Craft in America Center is open Tues – Sat, 12:00pm – 6:00pm, admission is free. Learn more about the Center here.